No not amphibians, these frogs are garment closures and the last of Buttons, Toggles and Frogs. Frogs are decorative garment closures formed from loops of braid and sewn onto garments. Like Toggles they eliminate the need for buttonholes. Unlike toggles, that are usually used for heavy-weight garments, frogs are usually used on delicate fabrics or on fabrics where buttonholes may fray. Also a button element is worked into the braid on one half of the two piece closure and the loop is integrated into the other half. These are beautiful embellishments for any garment, but especially blouses and jackets. In her book ‘50 Heirloom Buttons to Make’, Nancy Nehring devotes an entire chapter of instruction for making frog closures . Pg. 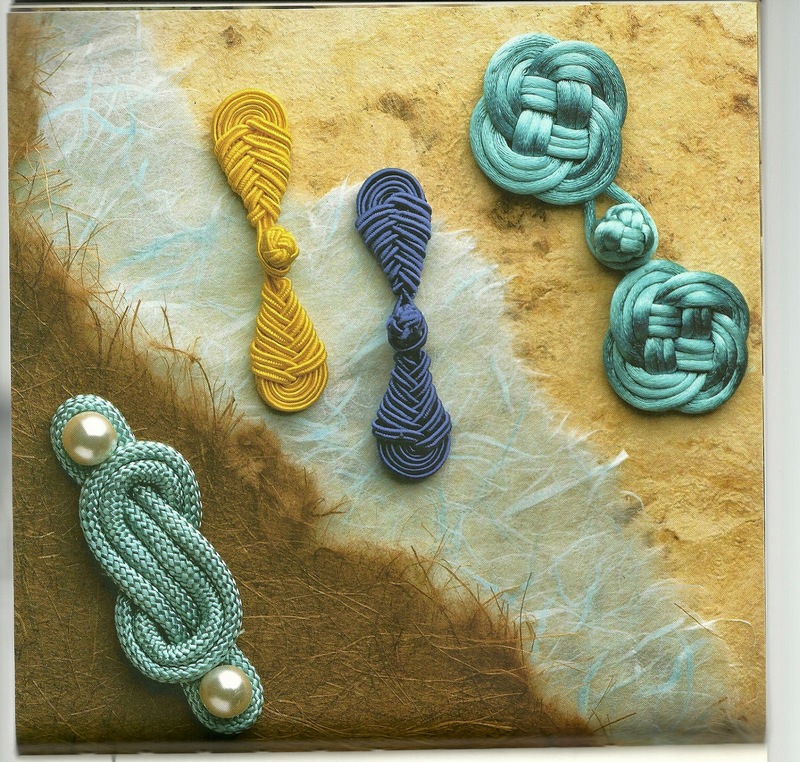 89 from Nancy's book illustrating just three of her decorative knot frogs.